Jeff Mandell has been drawing professionally for over 38 years. Based in Winter Park, Florida,. Jeff began his quick sketch career at the boardwalk in Ocean City, MD and has since worked across the U.S. and world for some of the world’s largest corporations. Mandell started illustrating in his teenage years, focusing on cartooning. He worked as an NBC affiliate court sketch artist in Baltimore when he was only 16. Buying his first Macintosh in 1985 changed his life and career. 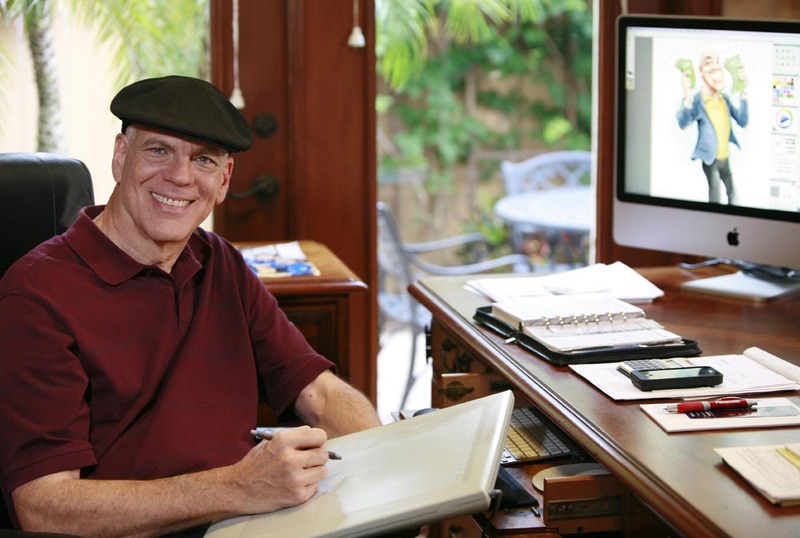 A few years later, Jeff decided to combine his computer graphics skills with his drawing ability to render all his illustration, no matter what medium, in the computer using a digital tablet. His digital caricatures appeared at at four locations in Walt Disney World in the mid 1990s and now in addition to trade shows, colleges and all sorts of events, Jeff appears frequently on European bound cruise ships with his partner, Robin. Jeff Mandell’s art has been published in books, newspapers, magazines and web sites and he frequently is asked to create illustrations for some of the world's most successful corporations. Jeff has received several Florida Press Association Awards for his newspaper illustration and has received awards for Best Likeness, Speed and Caricaturist of the Year while competing at the International Caricaturist Convention to which Jeff served as President in 2001-2002. Today, his Digital Caricatures has morphed into a completely portable show using technology that allows techniques impossible decades ago when he began this dream. Jeff reflects, "I feel like I haven't worked a day in my life."